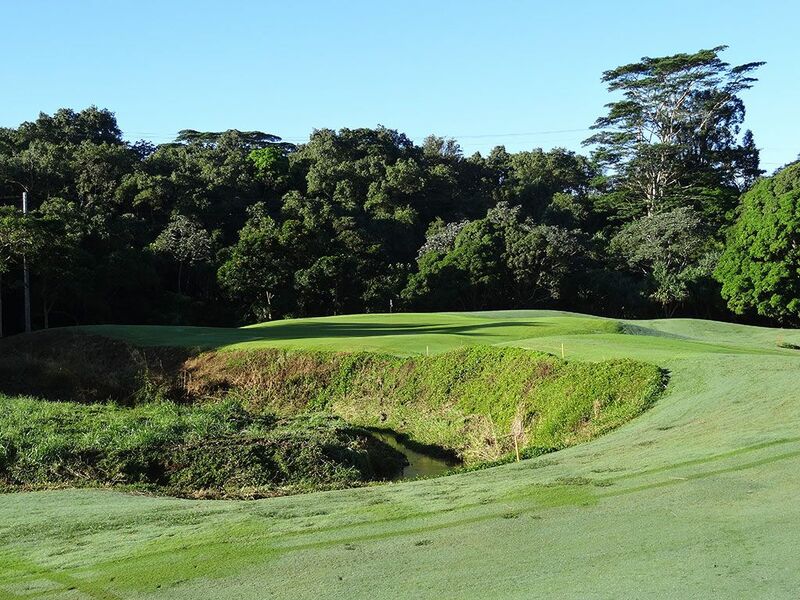 Course Website: Official Website - Visit Princeville (Prince) Golf Club's official website by clicking on the link provided. 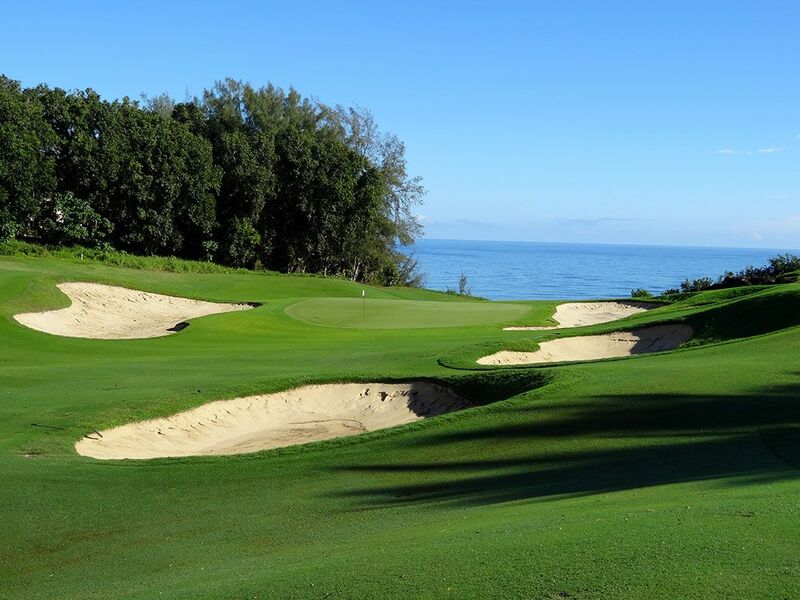 Accolades: Ranked 1st in Hawaii on Golf Course Gurus' Best in State list. 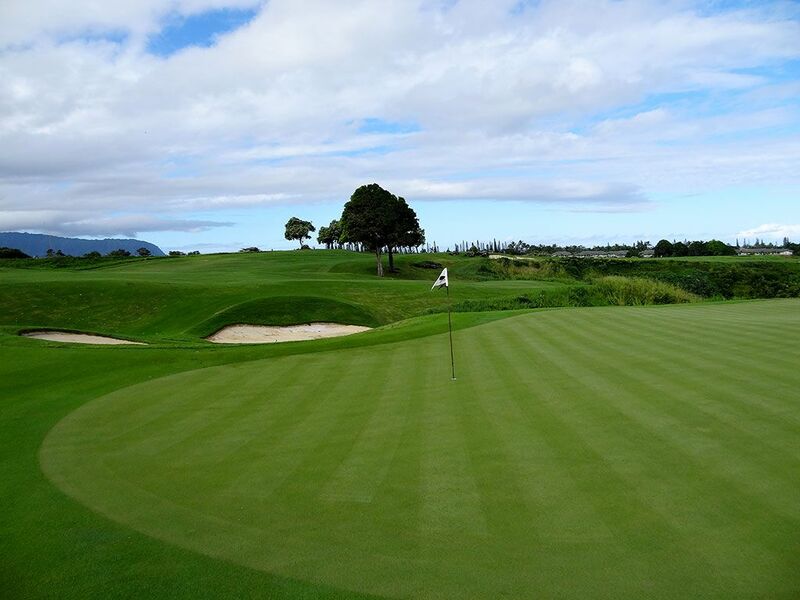 What to Expect: The Prince course at Princeville is one of the most dramatic, challenging, and engaging layouts on the planet. There are times you would swear you were playing golf through the middle of the Amazon forest with thick foliage and water features found throughout. Like Bandon Dunes, the course sits well above the ocean and offers impressive views of the Pacific at various times throughout the routing without ever playing on the coastline like Pebble Beach. 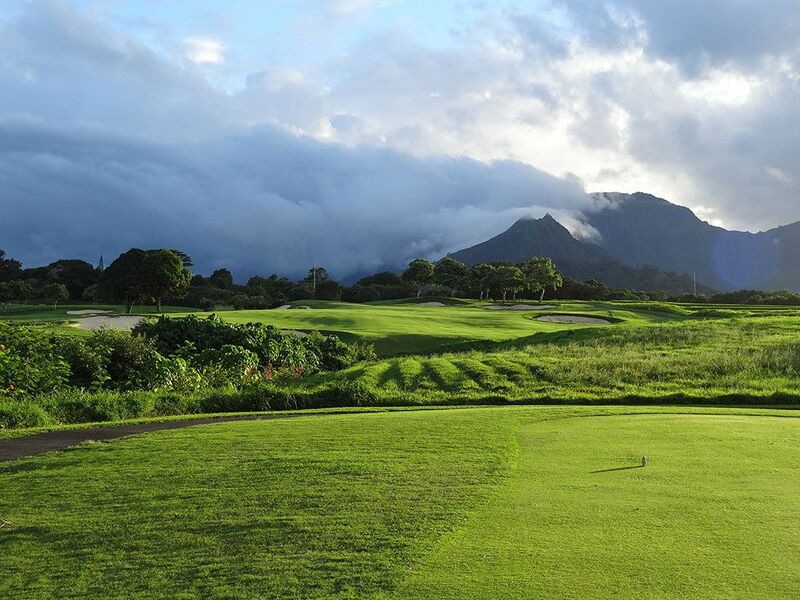 The north side of Kauai, where Princeville rests, is famous for its heavy rainfall and can often be a challenge faced at the world renowned layout. In 2010 the course shut down and planted a strain of grass that handles the heavy rain better which has dramatically improved the course conditions that struggled in years past. The impressive clubhouse boasts panoramic views across the golf course and out to the ocean while eating at The Tavern restaurant features some of the finest dining on the island (the braised short ribs and creamy cheese grits are to do for). On a sunny day, don't be surprised to find an employee scurrying around the course handing out slices of fresh pineapple to the patrons; another reminder of how great it is to be in Hawaii. GPS carts will help you wind around the routing and provide useful tips on each hole that can prove to be paramount in eliminating costly mistakes. While some may find the Prince course too demanding or even unfair on a windy day, it is still one of the most unique courses in America and should certainly be played at least once; just bring some extra golf balls. Signature Hole: 6th Hole – 428 Yard Par 4 – There is one thing that all signature holes on Hawaii's big name courses have in common; the ocean. 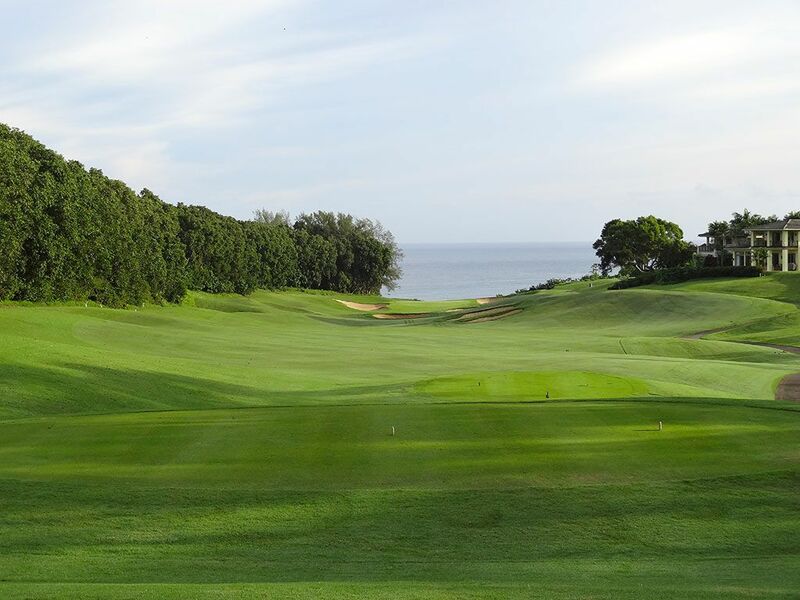 At Princeville's Prince course the great Pacific is staring right back at you the entire time you are playing the 6th hole. The fairway is bowled to help facilitate balls back towards the middle on wayward tee balls while trees frame the far left and right sides of the hole. As you approach the green, a plethora of bunkers are scattered in front and along the sides of the putting surface to try and avoid. 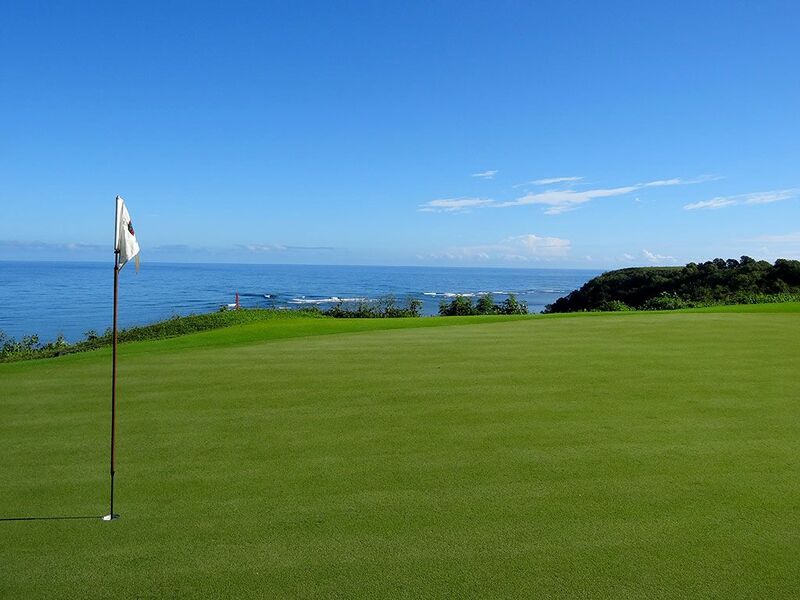 Once on the green your attention is divided between reading your putt and watching the crashing waves below roll in as consistently as an 8-inch gimmie. With views as far as the eye can see across the ocean, it is truly one of those surreal moments to be soaked in on the golf course. 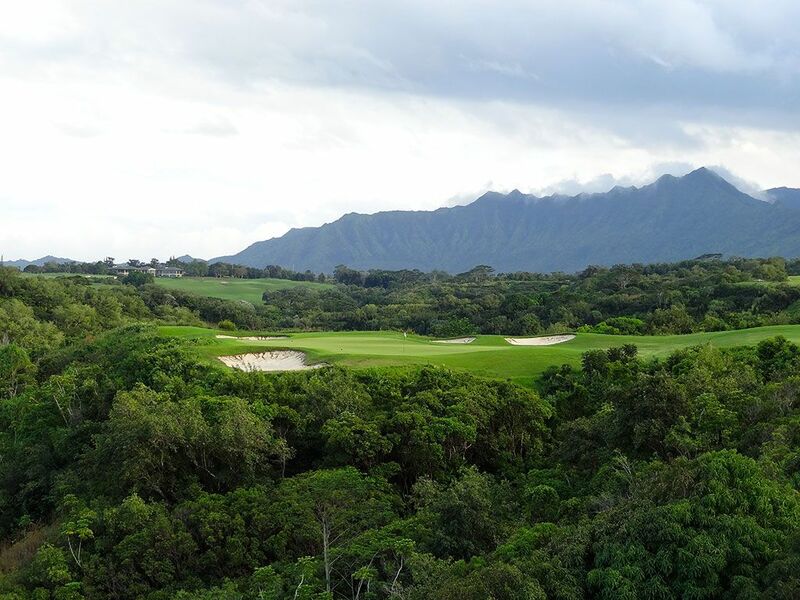 Best Par 3: 7th Hole – 207 Yards – The do-or-die 7th is a heroic hole that brings all of Princeville's elements together for one grand experience. With the rugged northern mountains creating the backdrop, the green site as the focal point, the ocean to the left, and jungle in the foreground, it is as much eye as you can possibly take in while still managing to muster up enough concentration to hit a high quality golf shot. There is some room to miss to the right and still chip up to the green on your second shot, but other than that, you'll have to be dead on with your tee shot from one of the several different tee boxes. The tips put you on the most challenging angle to the green while the further up you tee from wraps players towards the right where the green opens up and the bail out area is more readily available to use. Bottom line, it is a stunningly beautiful hole and easily the finest one-shotter on the property. Best Par 4: 13th Hole – 432 Yards – The Prince's waterfall hole is one of the most challenging and unique holes on the property. From the tee players are given a view of a domed fairway that widens before narrowing to a sliver and turning right behind the jungle hills. 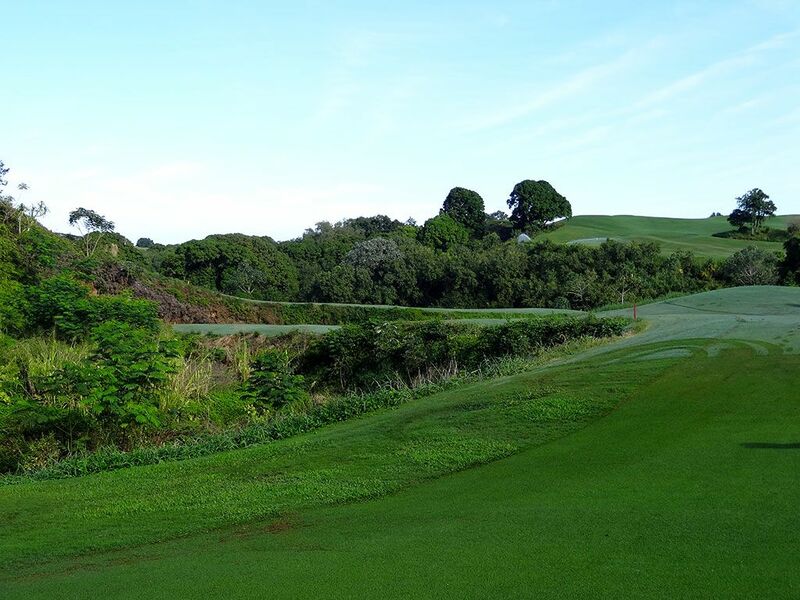 A creek bisects the fairway allowing players to hit as long as 270 yards safely up the left side or challenging the water by carrying the ball at least 240 yards over the trees and hazards to the second fairway. At the second fairway the hole turns sharply to the right as a creek runs up the right side of the narrowing fairway to a green framed by a waterfall in the background. 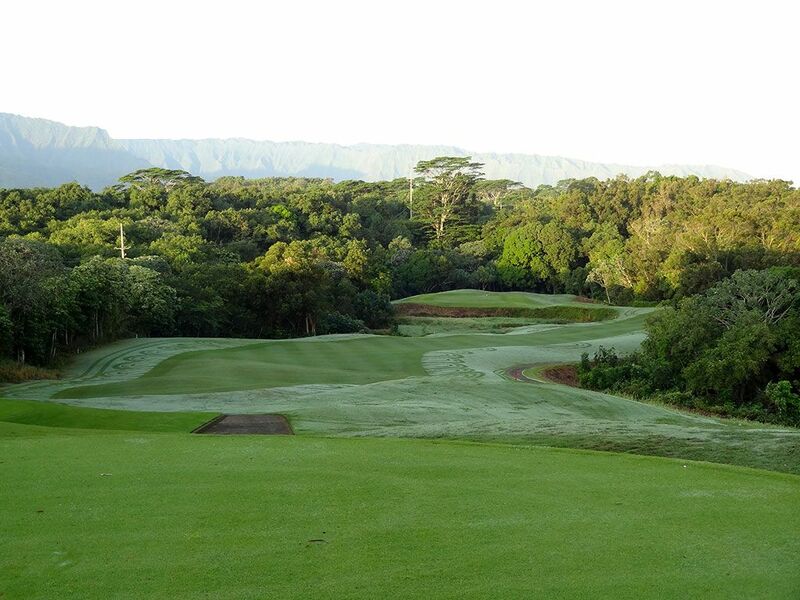 It is the most demanding tee shot and approach shot combination on the course thus creating one of Princeville's most memorable holes. Best Par 5: 10th Hole – 588 Yards – Simply one of my favorite par fives I've had the pleasure of playing. This large cape hole features and fantastic risk/reward opportunity that is as bold as it is attractive. A tee shot up the left side will kick the door open for reaching this green in two by with a do-or-die long iron approach shot over a jungle chasm to a well bunkered and undulated green. Playing safely up the right side will likely push players into laying up around the large Princeville logo tree to a narrow fairway that tumbles down and to the left. The approximately 100 yard approach shot left into the green will play over four bunkers to the widest angle of the green thus putting a higher premium on distance control than accuracy. 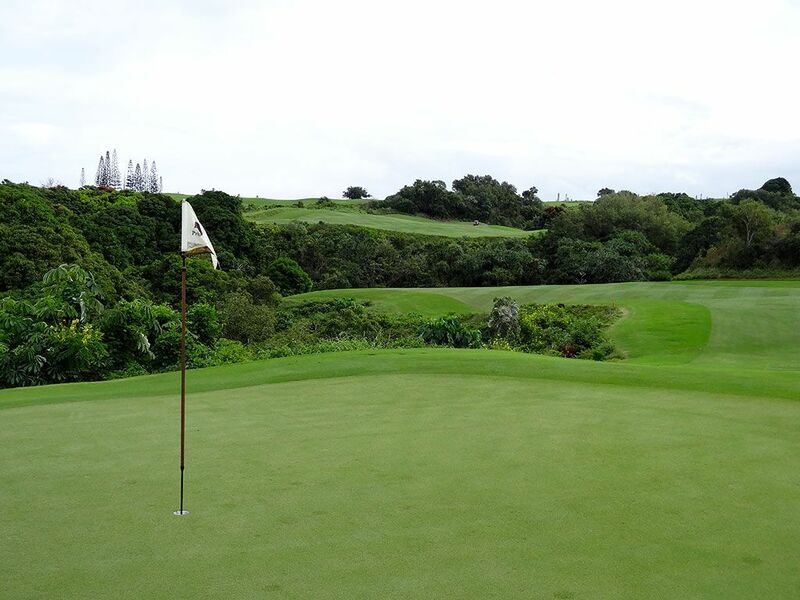 The undulated terrain, well designed options, and stunning scenery make for one of the finest holes on the islands. Birdie Time: 15th Hole – 576 Yard Par 5 – It may be hard to imagine a nearly 600 yard hole could be considered a great birdie opportunity, but this panoramic hole provides an exciting chance to score. With over 300 yards of fairway depth to play with, players can bomb their drive to the elevated fairway that towers over the green and second fairway below. This perched fairway offers an outstanding view and delivers an extra 20+ yards on your approach shot which will help players reach the green in two or setup a simple chip shot from the large landing area short of the putting surface. While jungle frames both sides of the hole, the extra wide fairways throughout provide ample space to navigate this par five and hopefully card a birdie. Bogey Beware: 1st Hole – 448 Yard Par 4 – A dramatic and challenging starting hole that will quickly test how well you warmed up before the round. 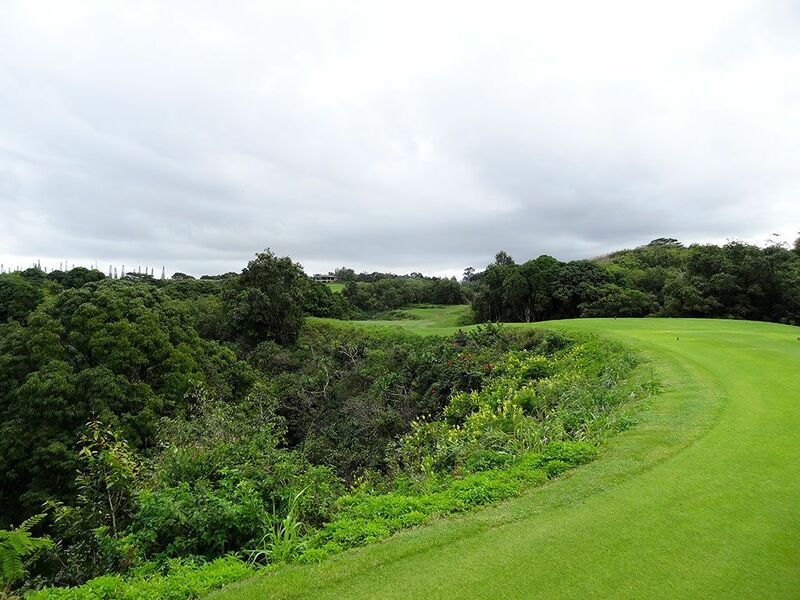 The downhill tee shot will accentuate the result as stray balls will likely end up in the jungle framing each side of the fairway while a straight shot will tumble several extra yards down the short grass. 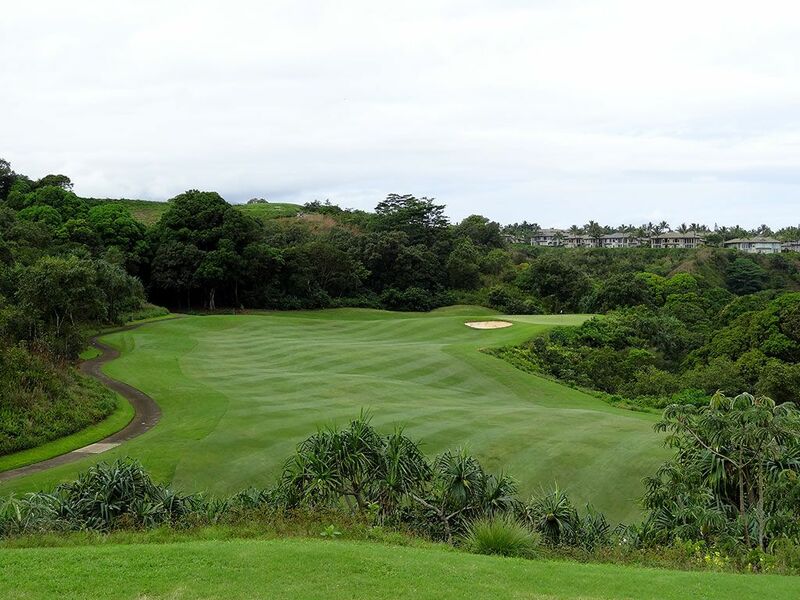 If you hit it too straight and you could run out of room; therefore you must challenge the right side of the fairway where more grass is afforded but slopes slightly towards the jungle. The approach shot plays over a wide hazard that front the green and thus requires players to play an aerial shot to the putting surface or layup to the right and chip on with your third shot. It is simply one of the most demanding opening holes you'll encounter and a par here would be an outstanding start to the round.